HONG KONG — Lifespans took first runner up and audience choice awards at the finals of the Cocoon Hong Kong startup pitch competition, with an excellent group of other HK and internationally-based startups reaching this final round. SINGAPORE — Lifespans was awarded the grand prize at the ASEAN Finals of the Hello Tomorrow startup pitch competition for companies focused on solving difficult technical problems with the potential for positive social impact. Competing against a roster of excellent companies in the fields of biotech, AI, and robotics, Lifespans took the top position along with a cash prize and travel funds for team members to compete in Paris at the Hello Tomorrow Global Finals in March 2019. 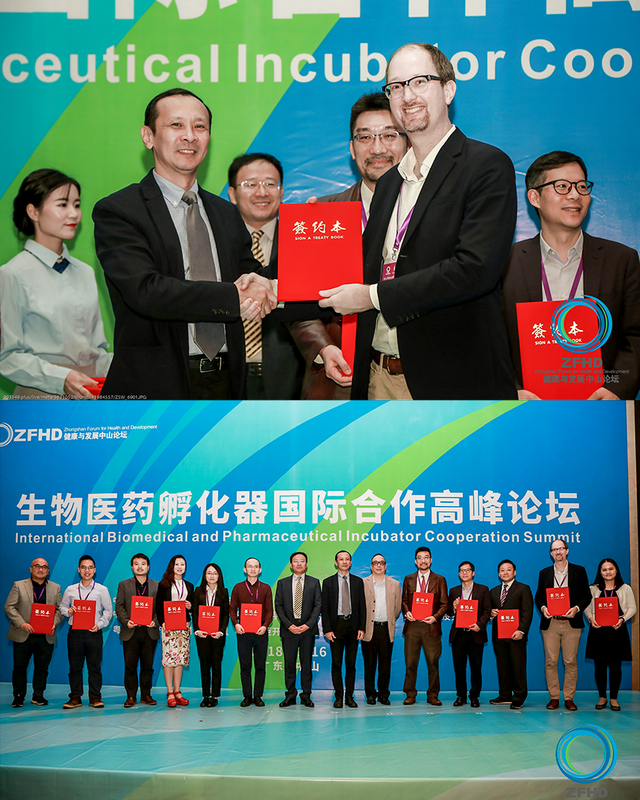 GUANGDONG — Lifespans selected to join the first cohort of startups in a new biotech incubator created by The University of Hong Kong and the Guangdong Pharmaceutical University. As a qualified spinoff from HKU, startups in this programme will receive a combination of financial incentives, manufacturing space, and regulatory assistance while contributing to the creation of new manufacturing and R&D activity in the Zhongshan development zone. SINAGPORE — APACMed - the leading association for the medical device industry in the Asia-Pacific region - selected Lifespans as an SME member of the organization to give a 30 minute presentation on our work and plans for the future. Alongside leading medtech startups from across APAC, keynote speakers at the event included the global leadership of Stryker (Kevin Lobo), Johnson&Johnson (Ashley McEvoy), and several other market leaders. HANGZHOU — Lifespans picked up a Silver Medal in Hangzhou (Gongshu) startup competition, with US$5,000 immediate cash prize and automatic entry into the application process for a US$500,000 grant. HONG KONG — The University of Hong Kong selected Lifespans for a second year of grant funding through their highly selective Technology Startup Support Scheme, bringing the total provided through this programme to HK$1.2m (US$150,000) over two years. GENEVA — Members of the Lifespans founding team were jointly awarded a silver medal at the 46th Salon International des Inventions Geneva for their work on the Lifespans Soft Tip technology, as part of a delegation of universities and research institutions representing the community of inventors and researchers in Hong Kong.